Sandra is a decor pro with a simple design philosophy: Surround yourself with the things you love. 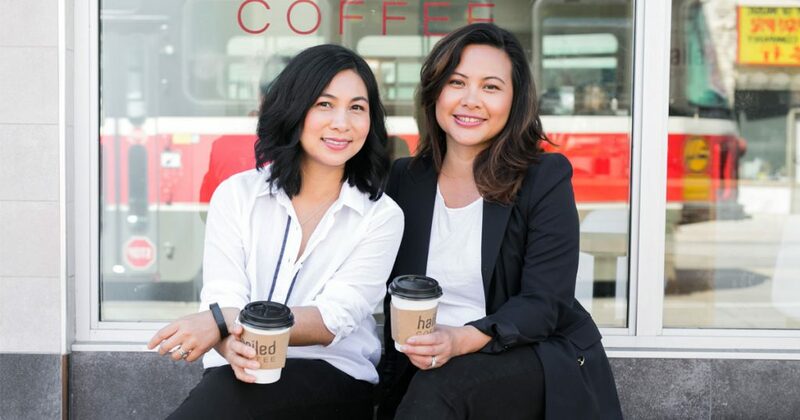 *We originally published this post a few months ago and decided it deserved to be at the top of the blogroll because we wanted to give a shout out to one of our favourite moms who partnered up with Holt Renfrew’s H Project which curates socially responsible must-haves from around the globe. This year they are celebrating South America and Sandra and her husband Marcelo have brought their handmade ceramics to an exclusive pop-up café at Holts Bloor and you can also find their rustic and chic aesthetic at H Project shops across the country. Sandra’s LinkedIn profile includes the Club Monaco design store Caban, Joseph Mimran and Associates and House & Home Media. Her hoostpah for design and details would eventually evolve into her own Toronto-based store called La Merceria, which she opened with her husband, Marcelo, in 2008. The store shows-off their rustic yet refined aesthetic in South American ceramics, enamels and decor. They created the sort of cozy and chic spot you might find in Buenos Aires with home wares, tostadas and freshly made espresso all under one roof. Today La Merceria is an online shop only, which frees up Sandra’s schedule so she can work on freelance design projects and enjoy her two sons, Joaquin, 5, and Paolo, 18 months. Happy and relaxed, she tells us the story of her entrepreneurial journey and how she made it mesh with motherhood. People always idealized the life Marcelo and I had running our shop and we loved creating the business, but there comes a time when you have to make a change and adjust your plan. That happened after we had Paolo. He was born premature. At 29 weeks, my placenta ruptured. It was sudden. There’s no history or reason why it happened. It was a Friday in July—he was due in October. I remember Marcelo and Joaquin went to wash the car outside. I took a nap and then I woke up because I was bleeding. I went into a panic. I sat in the bathroom in shock, then Joaquin came running in and I said go and get your dad. Marcelo called 911 and an ambulance came. Within an hour we had to do a C-section. Everything after that is a blur. Luckily, Paolo was born really healthy and fully developed to the weight he needed to be (1500grams) but you have to stay in the hospital until the baby reaches full term, which was another two months. The world stopped for a moment when I finally realized what was happening. Marcelo and Joaquin show off their barista skills at the couple’s shop and café. The shop suffered. I would try and do some work from the hospital and I felt like I wasn’t doing anything right. Then Marcelo, who has a full-time job too, took paternity leave so he could be at the store but he didn’t want to be there either; he wanted to be at the hospital with us. After having Paolo, we really started to question our lifestyle that in so many ways was run by the café. I’m not saying that having kids means you can’t have your own business (so many parents do it everyday), but for us, it became too stressful and we decided we wanted a change of pace. One of the first designs she bought for La Merceria served up quiche during our shoot day. After we brought Paolo home, I had to go back to the store right away to get things back on track. My parents helped take care of Paolo, who was only two months old, but I felt so torn. I just wanted to be home with him and I started to resent the shop a bit. We realized (especially me) that we had to make a change. I had so many emotions when we finally decided to sell our passion project. I wanted to be free to be a full-time mom for a bit but I was also terrified about what would happen to my career. But by the time we sold the store, it was an amazing feeling. It was difficult to be sad when our customers and staff expressed their disappointment because we were so excited for change. During the summer after we sold the business, it was such a gift to spend every day with the boys and we were able to go to Colombia for a month. Our family was given the break we really needed to reset our future. All of that was thanks to selling the store, and it gave me the time to find my passion and desire to work again. After selling her shop, Sandra enjoyed a month-long trip to Colombia with her family. I really believe everything happens when it’s supposed to happen. Now that La Merceria is an online store, I’m more focused on what I want to do because I don’t have to worry about the daily grind of a brick and mortar business. I love creating products. I’m still so passionate about it, maybe even more now. I love collaborating with other people and brands. I love this freelance mode—it has opened the door to so many other things like design projects for other companies. I am more inspired. I love doing the trade shows. I love working with vendors. I love my kids too and I have realized that I want a balance between doing things for them and fulfilling my passion. And work doesn’t stress me out the way it used to. At the end of the day, we have two healthy kids and that makes any other worries seem less important. Sandra isn’t afraid of white and linen slipcovers, even with kids around, because they can always go in the laundry. Andtradition.com catalogues she’s collected from the Maison&Objet home show in Paris and a picture of her wedding day in Cartegna. Her latest find for lamerceria.ca: Enamelware handmade in a factory that employs and empowers single moms in Bogota, Columbia. The boys’ bedroom was featured on House & Home. It was inspired by a grey and mint blanket that was gifted to Joaquin. A collection of the boys’ shoes including a well-worn pair of trusty Salt Water Sandals, that can be worn in the water. Some of Paolo’s things including a sweater hand knit by a nurse who Sandra met during her stay with him in the NICU. Sandra’s it bags: Givenchy’s The Nightingale that she uses for work and travel; her everyday bag from Loffler Randall and a Miu Miu clutch she’s treasured for over ten years. “My favourite colour is Mint. In Spanish it’s called verde agua. I also love powder rose. I’m not sure why I love pastels so much…maybe it’s because I grew up in a very colourful environment (I lived in Colombia until I was 15) and I found my creative side exploring softer shades. Sometimes I just think my brain has a wash filter and I just see colour in this faded way.” New La Merceria ceramic ware is made by a South American artisan who sources naturally mint-coloured clay from Santander in the Andes region of Columbia. “Whenever I can get it, Vilac is an amazing French brand of toys. It’s one of the oldest toy companies in France.” Rocking cow, Vilac; tent, advicefromacaterpillar.ca; high chair, vintage Ikea.